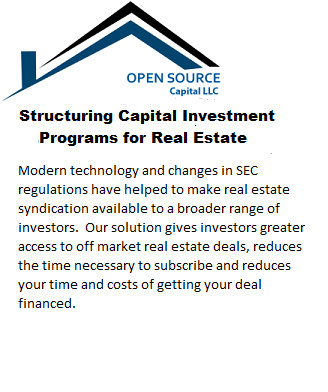 Open Source Capital is becoming a leading intermediary by building a managed global marketplace that links sophisticated private equity funds with credible sponsors that acquire and improve real estate. We work with a network of builders, developers, private equity firms, and high net worth individuals. Cumulatively, our clients provide the capital and expertise to build a wide assortment of real estate projects spanning various sectors and geographies. Our clients have accumulated several billion dollars in aggregate net worth from various industry sectors and bring more than just capital to a transaction. Our mission is to source and vet compelling real estate opportunities aligned with their strengths and competencies. Our firm uniquely adds value to a project by harnessing the collective marketing, legal, real estate, and capital market knowledge of our network. We work to identify and curate attractive private real estate investments for accredited investors. We use our website to offer accredited investors a way to explore potential investments, communicate with management, and invest in syndicated deals that meet their individual investment needs and standards. We help sponsors of real estate deals secure loans and preferred equity between $2 million and $100 million. These companies are typically financing “market-appropriate” properties in the respective markets in which they operate. We focus on quality over quantity– We select only a small number of opportunities to ensure we have sufficient bandwidth for our managers to fully participate and add meaningful value. We have developed capital raising capabilities to meet the current needs of borrowers, commercial banks, private equity firms and other institutional investors. Our extensive network of banks, real estate companies and investors is a key factor in our success. The strong and direct relationship between our managers and clients complements investors interested in quality investments. We have the ability to structure high-quality innovative transactions, while also ensuring that risks are carefully managed, and files are well documented. Our technical knowledge complements its banking and loan structuring experience for all types of real estate financing: low and mid-rise multifamily projects, townhomes, commercial properties, renovations and single-family homes. To assess risk and appropriately suggest pricing for an application, OSC examines many projects and market factors, including assessing the project’s marketing position, local market and the owners’ track record. OSC brings investors and borrowers together to create attractive transactions where risk and return are well balanced. Our reputation, expertise, and history of established contacts with banks and property owners have generated a strong foundation for new and repeat business. Our experienced underwriting department understands the need for appropriate documentation and efficient processing. An error-free loan file adds value. This benefits both the client and the investor. The complexity of commercial lending is well understood by our professional staff. Our experienced managers ensure applications are thoroughly prepared and documented. This, in turn, ensures sound credit decisions and enhances credit quality. External audits have consistently concluded that our files are thoroughly documented and are of high quality. Our ability to dream creatively and make those dreams materialize is making our platform a model for many companies in the future. We realize that changing times often require changing the way in which we do business. We seek to retain our entrepreneur spirit while channeling people with a common cause and capital resources together in ways that will allow us to grow and create wealth for all stakeholders. Moreover, we believe it is vital to the success of our business that our shareholders, officers and associates all be considered partners. There was a time when little was needed to succeed in the real estate business, but this is no longer the case. In today’s world, we need to remain flexible and yet, at the same time, have the scale to gain access to the world’s capital market. Senior management has worked together for over 25 years and has developed a stable institutional infrastructure. The team focuses its activities in markets where we have human assets and a deep intuitive understanding of the market. 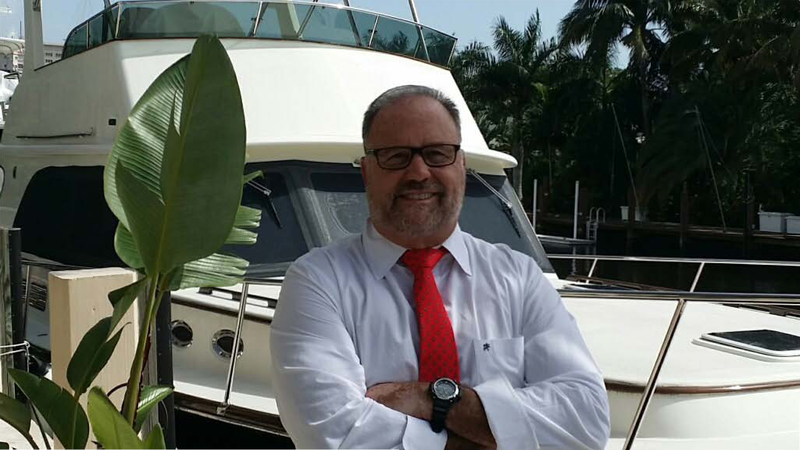 Mr. Meyer is a graduate of American University, holding a BS in Business Administration with a concentration in Real Estate Finance. In the mid-1970’s, he was with Merrill Lynch, specializing in public REIT’s and real estate limited partnerships. In the early 1980’s, Mr. Meyer entered into the homebuilding business by purchasing a Ryan Homes franchise in Virginia. In 1998, Mr. Meyer relocated to Florida and help launch “everbank.com,” an online commercial bank. From 2000-2007, Mr. Meyer was the Founder, President and CEO of BuilderFinancial Corp.
From 2007 until 2013, prior to forming Open Source Capital, LLC, Mr. Meyer was Chief Executive Officer of Ironshore Capital, LLC. Ironshore Capital is a private equity firm that was established to co-invest in real estate assets with the Baupost Group, a Boston based hedge fund with over $21 billion of capital under management. 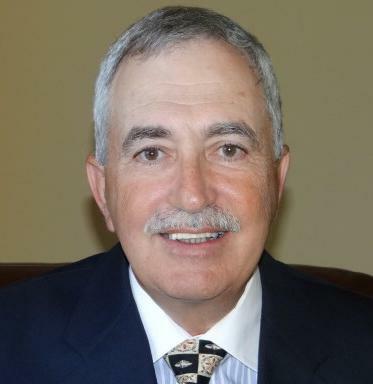 Mr. Henderson has over 40 years experience in the field of finance and international trade. Prior to cofounding Open Source Capital, LLC in 2013, Mr. Henderson was a senior executive at BuilderFinancial Corp. Prior to joining BuilderFinancial Corp., Mr. Henderson was president and chief operating officer of Chadwick International. Chadwick International, Inc. was formed in 1991 as a specialized company to finance and export high quality manufactured housing. In 1995, Mr. Henderson and Chadwick’s co-founder were finalists for the Entrepreneur of the Year Award jointly sponsored by Ernst & Young, the Washington Post and Inc. Magazine. Chadwick was also the 1996 Virginia winner of the Blue Chip Enterprise Initiative awarded by the U.S. Chamber of Commerce, MassMutual Insurance and Nation’s Business. Prior to joining Chadwick, Mr. Henderson spent 20 years at the Export-Import Bank, directing worldwide asset protection and recovery activities. Mr. Henderson has represented the United States government at the highest technical level in negotiations with foreign governments and private corporations, both foreign and domestic. Under his direction, Eximbank recovered over $2.5 billion, which included extensive Middle East dealings and bilateral government rescheduling of Mexican and Brazilian debt. Mr. Henderson was also responsible for Eximbank’s negotiation and technical operation of all multilateral agreements entered into by the United States in the Paris Club. He has served as a lead member of many commercial bank steering committees in commercial restructurings, including the restructuring of Mexico’s public debt, and was the technical advisor in the establishment of Brazil’s multi-billion dollar bank credit facility. Mr. Henderson was extensively involved in the methodology and drafting of the guarantees issued by Eximbank and the insurance policies issued by the Foreign Credit Insurance Association. Mr. Henderson is also a principal and director in EMCO Energy Holdings, LLC, an independent gas production company. He holds a Bachelor of Science Degree in Finance from Pennsylvania State University and has advanced legal studies specializing in agency, conflict of laws, corporations, sales contracts, negotiable instruments, and secured transactions. He has been a guest lecturer at the International Law Institute and recipient of awards from both the Secretary of the Treasury and the Department of State.